Schlage LiNK is more than a lockset. It's a brilliant new system that enhances your home's security, and your family's peace of mind--offering a new level of freedom to home security. Be Secure. Be Informed. Be Efficient. Be Home. Away from Home. Proven Schlage security with innovative remote access means a whole new level of freedom for your family. With Schlage LiNK, you're in charge--even when you're away. It's simply genius. 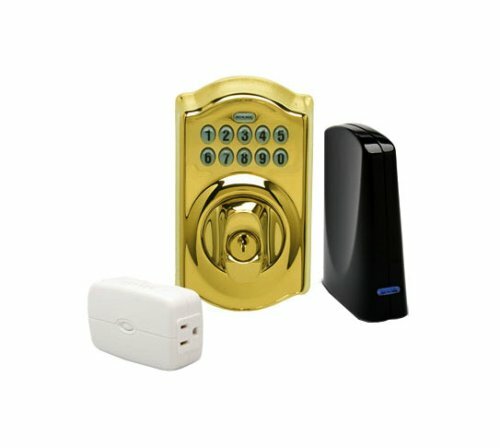 The Schlage LiNK entry starter kit gives homeowners the ability to remotely manage access to their homes via most web-enabled computers or cell phones for a low monthly fee*. With this service, homeowners can also receive text or email alerts when someone enters their home. Schlage LiNK sends emails and text messages so you know who is home, and it allows you to confirm the status of your system from anywhere. As long as you have a web-enabled cell phone or computer, Schlage LiNK lets you stay in touch and in control. Schlage LiNK allows you to grant entry to your door remotely from your cell phone or computer, assign and manage a personal code for each user, and give every family member a code they can remember. Everything you need to get started is included in this kit: 1 Schlage LiNK keypad deadbolt 1 Schlage LiNK bridge device 1 light module Batteries for the deadbolt Ethernet cable for the bridge *A minimal monthly subscription fee is required. Even if you choose not to subscribe, Schlage LiNK will still function as a keypad deadbolt. No long-term contracts or cancellation fees. Receive a trial period when you activate a new account. Schlage LiNK Features and Benefits Schlage LiNK is always on the job, enabling and monitoring access to your home around the clock Installation and setup are simple; you'll be up and running quickly Assign personalized codes (up to 19) for each member of your household Easily program Schlage LiNK to send automatic text or email updates so you know who enters your home Confirm status of your keypad deadbolt from anywhere with your web-enabled cell phone or computer Remotely grant entry to your door Create a Z-Wave network within your home that securely connects the Schlage LiNK wireless deadbolt to the Internet and control other Z-Wave devices Receive battery level status and alerts Up to 2-3 years of battery life Full AES 128-bit encryption at the microchip level Web-based access means greater peace of mind, no matter where you travel What Is Schlage LiNK? Access to home. Access to freedom. In many ways, Schlage LiNK is like our other keypad locks. It uses proven Schlage construction derived from a rich heritage in commercial security. But there's another side to Schlage LiNK--one that brings you a whole new level of freedom. Schlage LiNK allows you to remotely monitor your doors and grant entry to your home. From any computer or cell phone with an Internet connection, you can activate your lock, monitor who's coming and going, and even receive text message alerts from the system. This system is flexible and scalable, allowing users to add devices that fit their lifestyle including locks, light controls, thermostats, cameras, and more. There are no long-term contracts or cancellation fees. Schlage LiNK provides fully encrypted communication between the lock and the user (similar to the security used in online banking) ensuring your access and online information is safe and secure. From installation and setup to everyday usage, Schlage LiNK makes home security easy for today's busy families. Schlage's rich heritage in commercial security can be found in every product we sell. When you safeguard your home and family with Schlage, you ensure security as well as peace of mind. How It Works Schlage LiNK System Components It works like this: Through your computer or cell phone, the bridge receives a signal from your home's wireless network. The bridge sends another wireless signal to the deadbolt. The deadbolt is activated. Computer and Wireless Phone Interface A user-friendly interface is at the heart of the Schlage LiNK system and makes it easy to take advantage of all that Schlage LiNK has to offer. Simply log on to your computer or Internet-enabled phone and you're in control. With just a few simple clicks, you can grant entry to your home, see who's come home, and even add and delete user codes. System Requirements FAQs Do I need a wireless network in my home? 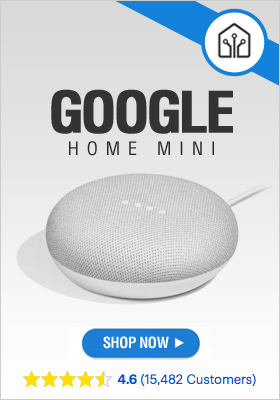 No, but you will need a high speed Internet connection (cable modem, dsl, etc.) and an open port on your router to plug in the bridge. What kind of cell phone do I need to have? Nearly any modern cell phone can receive text alerts from Schlage LiNK. But to take full advantage of the system's features, you'll need a data enabled phone platform like Android, BlackBerry, or iPhone. To verify your phone is compatible with the Schlage LiNK System, please check with your carrier. Do I have to pay to download the software to my phone? It depends. Some service providers charge a fee, while others don't. To know for sure, you'll need to check with your carrier. What is the range of the Schlage LiNK bridge? The Schlage LiNK bridge can relay signals up to 100 feet--even through walls. Without walls in the way, it can broadcast even farther. The included light module can increase the range of the system by functioning as a repeater. Does the system require a monthly subscription fee? A minimal monthly subscription fee is required. Even if you choose not to subscribe, Schlage LiNK will still function as a keypad deadbolt. Is it secure? Like all Schlage products, Schlage LiNK is very secure. The online portal features security measures similar to those used in online banking systems. The locks are tested beyond ANSI Grade 2 standards for residential use. Can you really lock and unlock the door remotely? Yes, for the Schlage wireless lever lock, you can remotely lock or unlock the door by clicking on the activate button next to your lock on the Schlage LiNK web interface or cell phone interface. For the Schlage wireless deadbolt however, you can remotely activate the lock which makes it possible for the door to be unlocked by someone turning the outside thumbturn. Since door frames arent always aligned and a deadbolt can require more leverage to engage or disengage, the deadbolt requires manual operation. How is the deadbolt installed? The Schlage wireless deadbolt installs in the same user-friendly manner as standard Schlage door deadbolts. The deadbolts are designed to fit standard door preparations and do not require wiring. How long is the battery life? How will I know when to replace it? The Schlage wireless deadbolt uses standard batteries and is designed to use very little power to operate. The included batteries should last up to 2-3 years. There is a battery life indicator on the deadbolt itself, as well as on the Schlage LiNK web interface. You can also program the Schlage LiNK interface to send email or text alerts when the battery is low. Z-Wave. The brains behind the brilliance. Z-Wave is a next-generation wireless "ecosystem" that lets all your home electronics talk to each other, and to you, via remote control. It uses simple, reliable, low-power radio waves that easily travel through walls, floors, and cabinets. 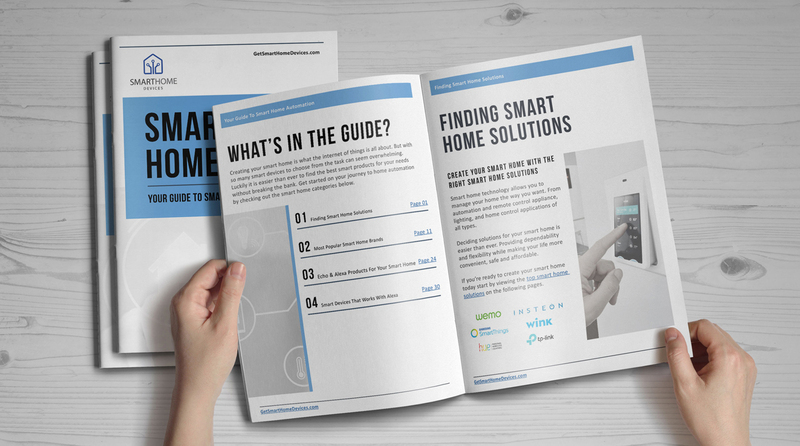 Z-Wave functionality can be added to almost any electronic device in your house, even devices that you wouldn't ordinarily think of as "intelligent," such as appliances, window shades, thermostats, and home lighting. The Schlage LiNK solution lets you control these devices in ways that give you complete command, even when you're not at home yourself. You can control your Z-Wave household remotely from a computer and the Internet from anywhere in the world...even through your cell phone.